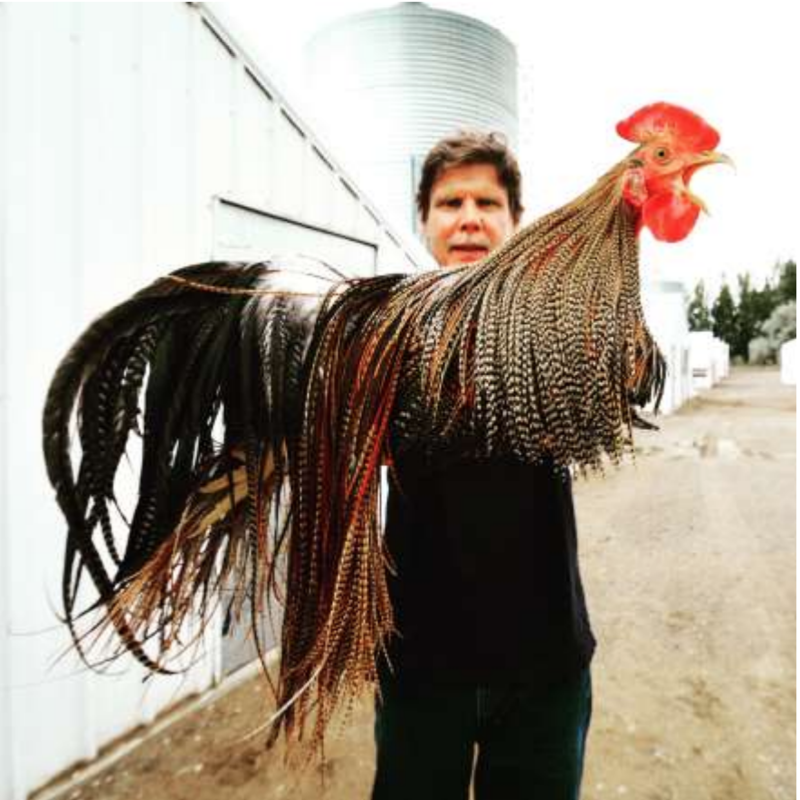 Dr. Tom Whiting has breed some amazing animals over the past 30 years. We all owe him a significant amount of gratitude and praise for his accomplishments. What we are able to create now with the modern hackles available to us is simply mind blowing. Thanks Tom and Silvercreek for sharing. I guess I never thought of where Whiting got the feathers. Way more involved than I thought. Pretty cool. I remember as a beginner tying with capes from India. Some of the capes could just about fit into a zip lock sandwich bag. Sometimes we had to use 2 feathers to tie a dry fly and finding hackles for size 16 and smaller flies was difficult. Then came the genetic hackles when I finally earned enough money to afford them. Now it seems we have gone to the extreme in that the saddles have such small hackles that finding size 10s, 12s and 14s are difficult. 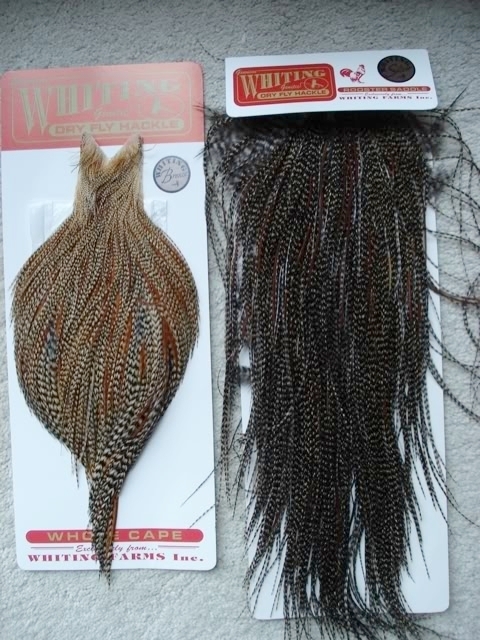 You have to seek out the Eurohackles or the Hebert Miner line from Whiting which run larger (but not longer). If I could ask Dr. Tom Whiting for one thing it would be to find a way to breed the larger hackles with longer feathers. It seems that natural selection has resulted in longer feathers but the hackle size is smaller. I don't think Dr. Whiting has ever discussed why that is so. So I want to know why???? Is is that the hackle size and feather length are genetically linked. The evidence seems to suggest it. We are at the point where it is technically possible to decode the genetics of the chicken and to use CRISPR-CAS19 to edit the genes. That's the fastest way to get a super chicken so I wonder if Dr. Whiting is exploring that. Here's an article on CRISPR-CAS19 to edit the genes in chickens. Sorry' the chickens have to die in the process. I recently asked the question, " What happens to the carcass? " thinking that they may be able to donate them to a food bank but the answer is it is turned into compost. Imagine the travel possibilities if we were to breed a brilliant strain of TSA agents and then compost them! I wonder where TU stands on this; how do others feel? If you are, where do you stand on eating chicken? If you do, they were raised for food instead of hackle and they died. Does it matter to me that the birds were raised for hackle instead of food. Not a bit. 9 billion chickens are eaten each year in the USA. So what if several thousand are used for hackle? if 3 thousand chickens are used for hackle each year, that is ratio of 3 million chickens killed for food for everyone used for hackle. Give me the best hackle possible. 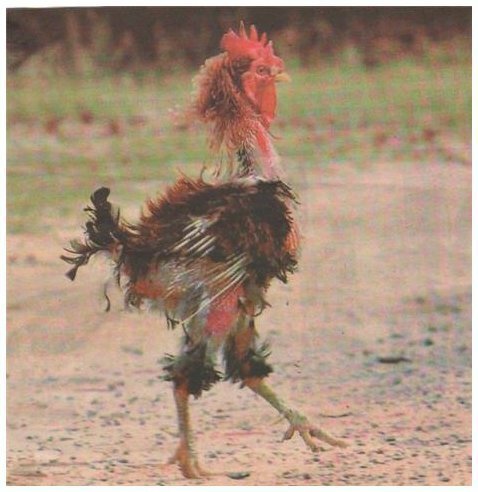 Regardless of whether a the hackle is bad, good, better, or best; a chicken has to die! Even if you are tieing with strung marabou, a turkey or several turkeys died. Deer or elk hair? - yep, they died, too. Pheasants tails for PTs, yep they died as well. We also catch and release trout - yep, 3 - 5% die. I don't care if a chicken has to to be raised for food or for hackle. I'm going to eat protein, tie flies and continue to fish; and some animals are going to die! This are some critical questions. Do you care enough about an animal dying to not use any flies with any animal parts like fur and feathers? If you buy the flies instead of buying the materials and tying the flies are you more "innocent"? Not in my mind. The end user carries the responsibility. The analogy is that the person that eats the hamburger is responsible and not the person that cooks the hamburger. Last edited by silver creek; 02-06-2019 at 07:19 AM. Ugh, the bad old days! I remember buying my first Metz neck — a coachman brown. I loved that neck — no webbing, no spiraling quills. I probably have the remnants somewhere in a baggie and plastic box. Tying with my first Hoffman, a grizzly, was almost ... . Well you get the point!